It’s a little hard to find info on Panabite (well, as hard as it gets for today’s lazy music journo with Google at his fingertips). Turns out it’s the alias of Seattle resident Norm Chambers and he’s been making ambient music for a few years now. He specialises in the sort of lush, slightly spooky soundscapes conjured by 70s German kosmische artists like Tangerine Dream and Cluster. In fact, a previous album, Science of the Sea, was purported to be a genuine 70s obscurity. 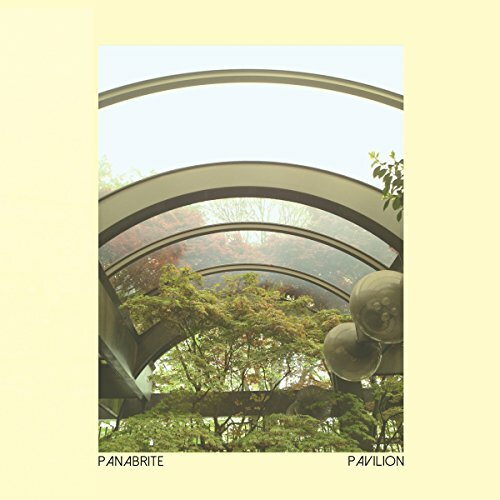 Pavilion is nothing but softly undulating, gently ebbing and tinkling deep ambient music. As well as the aforementioned cosmic pioneers, the likes of ‘Regent’ also recall Boards of Canada and, unsurprisingly, Brian Eno. ‘Balsam’ introduces acoustic picking into the mix, which personally I feel is a step into the banal, although the very Tangerine Dream-esque sonic ripples and oscillations which gradually bury the guitar are strikingly beautiful and save the track from becoming aural wallpaper, instead making it one of the most unusual on here as it segues into a coda of rattling, clanking ambient sound. Overall, the album perhaps dips a little too often into those ‘sound of the rainforest’ type CDs which always clutter new age shops, but it’s still lovely, peaceful listening with the occasional surprising twist. Recommended for all you heads out there.